New York Times, Pride.com, and other AMAZING updates! Good day, magical ones! Lots of articles and things to share today, but first: A NEW CONVENTION APPEARANCE HAS BEEN UNLOCKED so click on those beautiful all-capped letters to check it out! Now LET’S TALK ABOUT SOME ARTICLES! 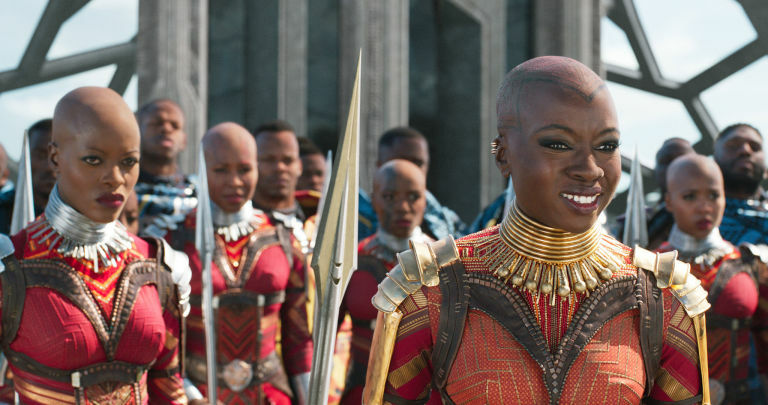 The Root section has been updated with pieces about Black Panther, because Bri had an AMAZING time in Wakanda! Also, one of the pieces was recently recommended by The New York Times! There’s a movie review for Black Panther in the Twin Cities Geek section! There’s also a new video essay over at the MojoPlays section AND a new section of Origin videos for different characters and franchises! Also, don’t forget, tomorrow I’ll be giving my QueerX talk at the U of M! If you can’t make it, it’ll be streamed on Facebook, so keep an eye out on the event page! A NEW SECTION HAS BEEN UNLOCKED!!! 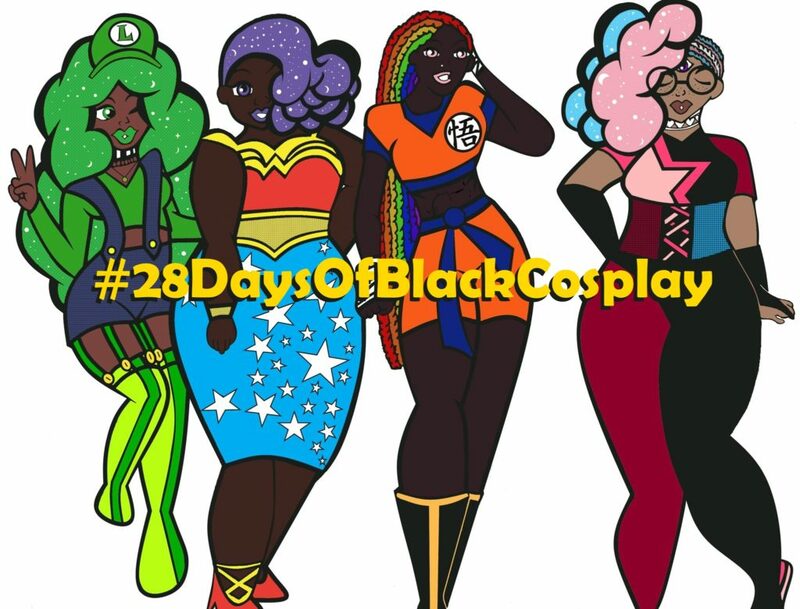 Also, there’s a new article up in the SyFy section about #28DaysOfBlackCosplay so be sure to check that out. Until next time, magical ones! Hey there, magical ones! Happy February, and of course, happy #28DaysOfBlackCosplay! We have all kinds of amazing updates this month! If you head over to the MERCHANDISE section where the first book is, you’ll see that I’ve added the Barnes & Noble link for the book! The CONVENTIONS AND EVENTS section has been updated with something very exciting: Briana’s going to be speaking at the U of M this month! 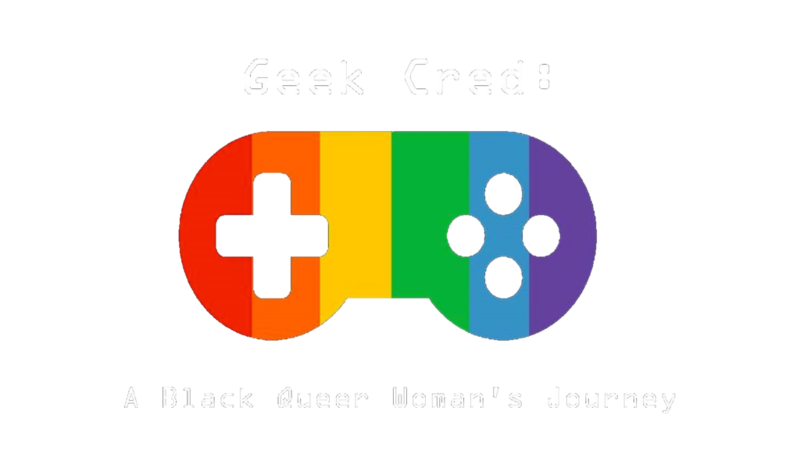 She’ll be talking about her professional and personal journey as a black, queer, writing geek navigating through a space that doesn’t always love you as much as you love it. You can check out the details of the event HERE! A new section that features writing Briana’s done for THE GLOW UP! 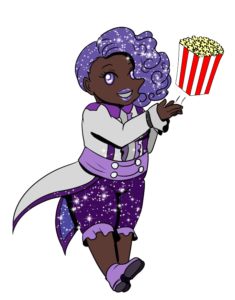 A new section that features writing Briana’s done for BLACK GIRL NERDS! Some more content for MojoPlays! That’s all for now. Take care, magical ones! SyFy: I have a couple of pieces I’ve written for SyFy on various forms of pop culture! MojoPlays: WatchMojo has a new channel that is specifically for video games! This has reviews, essays, and basically takes a more in-depth look at the industry! I’m super proud of this channel as I’ve been helping write pieces for its launch! Happy Holidays! There’s a few more updates! Hey there, everyone! We got some quick updates! We are actually SOLD OUT of autographed copies of the book for the holidays!!! I’ve ordered another shipment and will update when they arrive. Thank you SO MUCH for all the support! There’s some new Reviews up that you can go and check out. See what people are saying about the ladies of magnifiqueNOIR! The Print Section has been updated with new 8.5X11 prints, some by yours truly! That’s all for now! Happy Holidays, magical ones! Hi there, magical ones! Long time no update, huh? 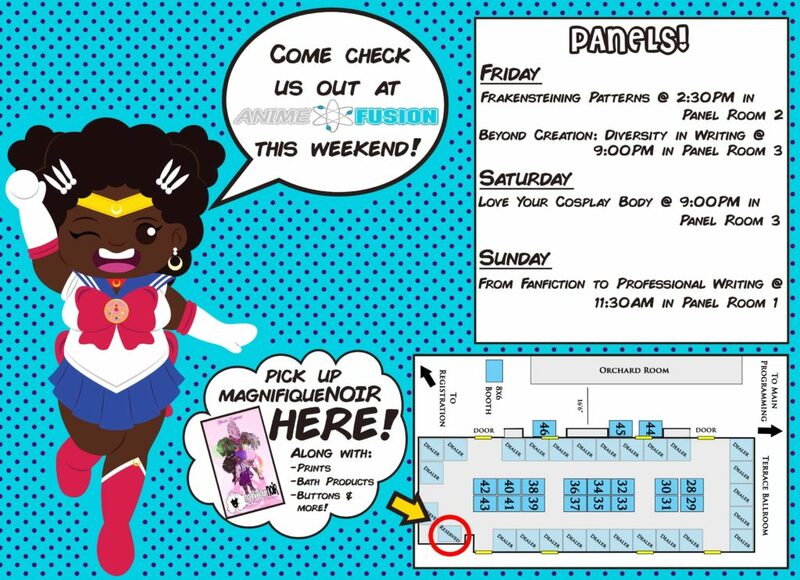 We did a LOT of conventions in the fall and are now home for the winter, so it’s about time for some updates! You can head over to the Interviews & Features section to listen to a few podcasts where I talk about the book! There’s also a few more Interviews through different websites, too! Convention season may be over, but plans for 2018 are already underway! 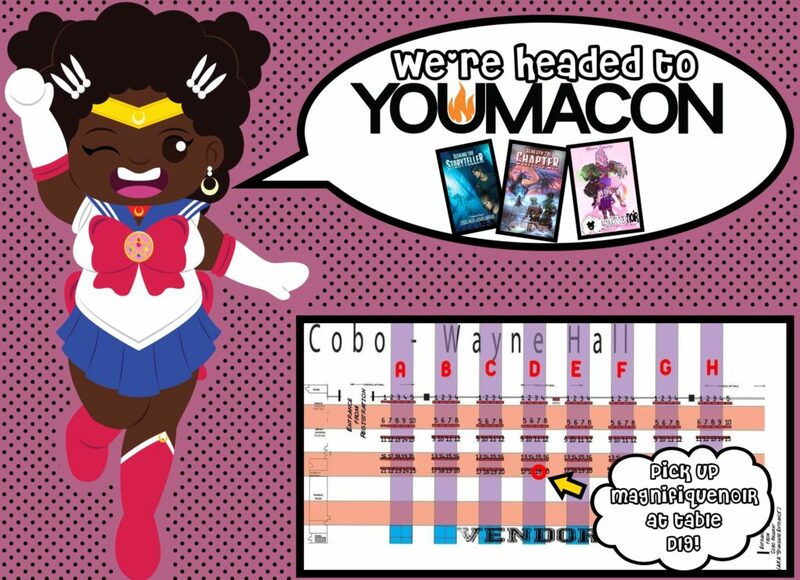 Check out the Convention & Events section to see where we’re headed! WE GOT SOME NEW FANART OF THE GIRLS AND IT IS ALL WONDERFUL!!! THERE’S ALSO SOME MORE COSPLAY OF THE GIRLS AND IT MAKES MY HEART SING!!! Check out these new WatchMojo.com MsMojo videos that I wrote the script for as we close out 2017! There’s some new movie reviews up in the Twin Cities Geek section! You can check out the article I wrote for SyFy about the X-Men animated series in the Other Published Works section! Along with those updates is a special update for the holidays. If you’re wanting to get an autographed copy of the book for Christmas, we still have a few copies left, but hurry, as they are limited! Please order by 12/16 if you’re trying to get it by Christmas as that should be enough time. If you order after this date (or we run out) then the book will come after the holidays. You can always order through Amazon as well, but those copies won’t come signed. Be sure to look through the MERCHANDISE tab if there’s anything extra you’d like. Again, if you want it by Christmas, place your order by 12/16! Last, but not least, check out this tasty piece of art for the second book. Yep, we’ve got art for book two already thanks to our buddies over at Musetap Studios! 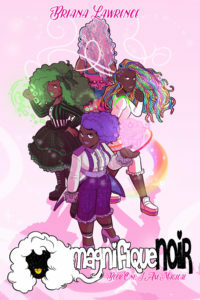 This series is called “Hidden in Plain Sight” and highlights the transformation tools the girls use… save for Prism Pink, who will be revealed in Book Two: You Are Magical! Three conventions! One month! All magical! See you all in Detroit, Michigan!